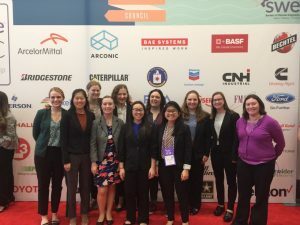 This October, 13 SWE members of the University of Portland attended the Women in Engineering 2018 Conference held in Minneapolis, MN. These women attended the opening plenary, listened to panelists, and attended the career fair. The WE National Conferences give women the chance to develop as professionals and network with each other. 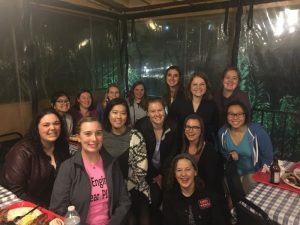 SWE loves to bring the engineering women of UP to this fantastic experience, especially the seniors of Shiley, who are featured below. 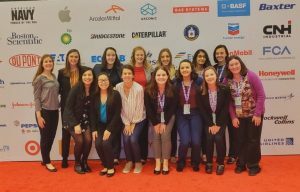 In October, SWE sponsored 13 students to attend the Women in Engineering 2017 Conference held in Austin, TX. This year, WE17 was the largest SWE Conference with more than 14,000 attendees! 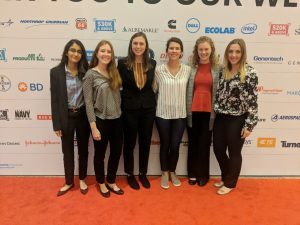 The panels and career fair were packed as these women were given the chance to talk to companies, interview for positions, and listen to speakers. In addition to experiencing the conference, these students also got a small taste of life in Austin as they explored Texas State Capitol and tasted the local cuisine.